Lead is always among one of the most recycled materials in terms of recovery rate. It can be remelted infinitely to remove impurities. Its fundamental properties make it easily identifiable and cost-effective to collect and recycle. More than 50 percent of lead used in the production of new lead products around the world is sourced from recycled lead. As the quality of the recycled lead is almost identical to primary lead collected directly from mining, its value and demand as a recycled material are very high. 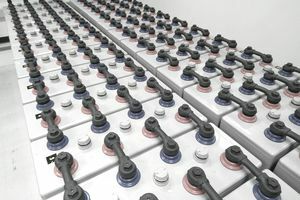 Currently, more than 85 percent of lead is used in the production of lead batteries, while nearly 100 percent of that amount is easily recoverable and recyclable. Back in 2013, worldwide production of recycled lead was 6.7 million tons, equating to 54 percent of total global lead production. All lead produced in the U.S. and 74 percent of lead produced in Europe comes from recycled stock. The current lead recycling rate in North America and Europe is nearly 100 percent. According to EUROBAT and Battery Council International (BCI), the lead-acid battery is the most recycled consumer product in the world. Lead sheet is used as a radiation shield in the healthcare industry and for roofing in the construction industry. As in the case of lead batteries, lead sheet enjoys remarkable recycling success. Nearly all the lead sheets used in these applications are manufactured from recycled lead. According to one estimate, there will be approximately 37 million start-stop lead batteries in micro-hybrid cars by 2020. Products made of lead return to metal dealers, DIY stores, recycling businesses, car workshops, and car accessory dealers before being sent to collection points. Scrap lead is then collected by specialized companies. Ultimately, scrap led is accumulated and sent to a smelter. At the smelter, collected lead-based products are broken and scrap lead is safely separated from other components. Then, lead components are systematically smelted and refined. This refined lead is then used in the production of new lead-acid batteries, building construction material, cable sheathing, and in the healthcare industry as radiation shielding. Lead-based batteries are a very important component of over a billion diesel and petrol vehicles existing globally. Such batteries are also used in several critical stationary applications such as providing backup power for telecommunication systems. Given that lead-acid batteries are essential for cars to operate, the systematic and responsible recycling of lead is a priority. Recovering and recycling lead has great environmental advantages. Lead recycling reduces the release of lead to the environment and conserves natural resources. The lead battery is a hazardous waste. Its disposal poses both health and environmental threats. The use of recycled lead in the production of new products is highly energy efficient. Recycled lead production takes only 35 to 40 percent of the energy necessary to produce primary lead from ore. Unlike most other materials, Lead can be re-melted and recycled indefinitely without slightest of diminution in quality, making it the perfect material for the circular economy.